Japanese researchers record for the first time the birth of nanoplasma. Japanese researchers have captured the birth of a nanoplasma – a mixture of highly charged ions and electrons – in exquisite detail, as a high-powered X-ray laser roasted a microscopic cluster of atoms, tearing off electrons. While it’s cool to witness an explosion lasting just half a trillionth of a second and occupying one-hundredth the diameter of a human hair, caused by an X-ray beam 12,000 times brighter than the sun, it’s also important for studies of tiny structures such as proteins and crystals. To study small things you need light of a comparably small wavelength. The wavelength of the X-rays used by Yoshiaki Kumagai and his colleagues in this experiment at the Spring-8 Angstrom Compact free electron Laser (SACLA) in Japan is one ten billionth of a meter: you could fit a million wavelengths into the thickness of a sheet of paper. This is the perfect wavelength for probing the structure of crystals and proteins, and the brightness of a laser gives a good strong signal. The problem, however, is that the laser itself damages the structure, says Kumagai, a physicist from Tohoku University in the city of Sendai. The tell-tale sign of radiation damage is the formation of a nanoplasma, as the X-rays break bonds and punch out electrons from deep inside atoms to form ions. This happens in tens of femtoseconds (that is, quadrillionths of a second) and sets off complex cascades of collisions, recombinations and internal rearrangements of atoms. SACLA’s ultra short pulses, only 10 femtoseconds long, are the perfect tool to map out the progress of the tiny explosion moment by moment. To untangle the complicated web of processes going on the team chose a very simple structure to study, a cluster of about 5000 xenon atoms injected into a vacuum, which they then hit with an X-ray laser pulse. A second laser pulse followed, this time from an infrared laser, which was absorbed by the fragments and ions. The patterns of the absorption told the scientists what the nanoplasma contained. By repeating the experiment, each time delaying the infrared laser a little more, they built a set of snapshots of the nanoplasma’s birth. Previous experiments had shown that on average at least six electrons eventually get blasted off each xenon atom, but the team’s set of new snapshots, published in the journal Physical Review X, show that it doesn’t all happen immediately. Instead, within 10 femtoseconds many of the xenon atoms have absorbed a lot of energy but not lost any electrons. Some atoms do lose electrons, and the attraction between the positive ions and the free electrons holds the plasma together. This leads to many collisions, which share the energy among the neutral atoms. The number of these atoms then declines over the next several hundred femtoseconds, as more ions form. Kumagai says the large initial population of highly-excited neutral xenon atoms were gateway states to the nanoplasma formation. “The excited atoms play an important role in the charge transfer and energy migration. It’s the first time we’ve caught this very fast step in nanoplasma formation,” he says. Changes to Australia’s code of research conduct endanger its reputation for world-standard output. 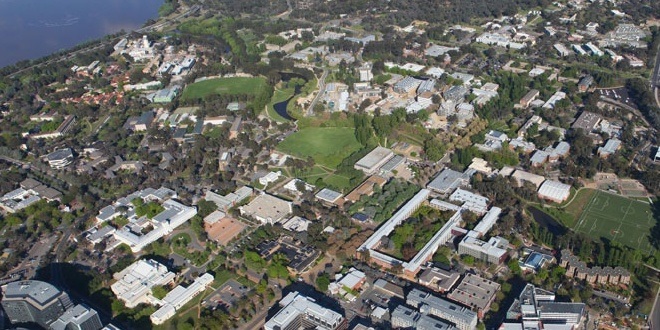 “The initial inquiry by the UNSW’s Dean of Medicine [was] patently crippled by perceptions of conflicts of interest — including an institution investigating allegations of improprieties carried out in its own backyard! Old stars in our own galaxy are yielding information that illuminates conditions in the early universe. Einstein’s pal Charles Proteus Steinmetz transformed the electric power industry. Steinmetz went to work for a small electrical firm in New York, and his experiments on power losses in the magnetic materials used in machinery led to his first important work, the law of hysteresis [IEEE EXPLORE DIGITAL LIBRARY], which deals with the power loss that occurs in electrical devices when magnetic action is converted to unusable heat. His discovery, published in 1892, allowed engineers to calculate and minimise losses of electric power owing to magnetism and change their designs accordingly. There is a story about Steinmetz which first appeared in Life Magazine in 1965. Jack B. Scott wrote to tell of his father’s encounter with the Wizard of Schenectady at Henry Ford’s factory in Dearborn, Michigan. Huge, bright and incredibly violent, a new supernova provides new challenges for astronomers. An artists impression of how the explosive light of the supernova was hidden for a while behind a cocoon of ejected dust. Nature Astronomy. Astronomers have witnessed a blazing supernova explosion that faded away 10 times faster than expected. A supernova is the violent death of a massive star, typically occurring when it exhausts its fuel supply and collapses under its own weight, generating a powerful shockwave that blasts light and material out into space. Supernovae often blaze so brightly that they briefly outshine all the other stars in their host galaxy. They show off for months on end — in 1054, a supernova could be seen during the day for three weeks and only disappeared completely after two years. Its remnants are known as the Crab Nebula. The Crab Nebula in all its glory. NASA, ESA, NRAO/AUI/NSF and G. Dubner (University of Buenos Aires). Now an international team of astronomers, led by Armin Rest from the Space Science Telescope Institute in Baltimore, US, has observed a supernova that rapidly soared to its peak brightness in 2.2 days then faded away in just 25. “When I first saw the Kepler data, and realised how short this transient is, my jaw dropped,” recalls Rest. The supernova, dubbed KSN 2015K, is part of a puzzling class of rare events called Fast-Evolving Luminous Transients (FELTs). KSN 2015K’s host is the star-forming spiral galaxy 2MASX-J13315109-1044061. Image credit: Rest et al: https://www.nature.com/articles/s41550-018-0423-2. FELTs don’t fit into existing supernova models and astronomers are still debating their sources. Previous suggestions include the afterglow of a gamma-ray burst, a supernova turbo-boosted by a magnetically-powerful neutron star, or a failed example of special type of binary star supernova known as a type 1a. KSN 2015K is the most extreme example found so far. In a paper published in the journal Nature Astronomy, the team says that KSN 2015K’s behaviour can most likely be explained by its surroundings: the star was swathed in dense gas and dust that it ejected in its old age, like a caterpillar spinning a cocoon. When the supernova detonated, it took some time for the resulting shock wave to slam into the shell of material and produce a burst of light, becoming visible to astronomers. KSN 2015K was captured by NASA’s Kepler Space Telescope, which is designed to hunt for planets by noticing the tiny, temporary dips in light from far-away stars when planets pass in front of them. This exact skill is also useful in studying supernovae and other brief, explosive events. “Using Kepler’s high-speed light-measuring capabilities, we’ve been able to see this exotic star explosion in incredible detail,” says team member Brad Tucker, an astrophysicist from the Australian National University. Co-author David Khatami from the University of California, Berkeley, US, adds that this is the first time astronomers can test FELT models to a high degree of accuracy. “The fact that Kepler completely captured the rapid evolution really constrains the exotic ways in which stars die,” he says. Australian researchers and facilities were also key to this discovery. Follow-up observations were made with the SkyMapper telescope at Siding Spring Observatory, and then processed by the National Computational Infrastructure at the Australian National University in Canberra. Tucker says that by learning more about how stars live and die, astronomers can better understand solar systems as a whole, including the potential life on orbiting planets. See the full article here . Other articles here and here and here. We are the Space Telescope Science Institute in Baltimore, Maryland, operated by the Association of Universities for Research in Astronomy. We help humanity explore the universe with advanced space telescopes and ever-growing data archives. Founded in 1982, we have helped guide the most famous observatory in history, the Hubble Space Telescope. Since its launch in 1990, we have performed the science operations for Hubble. We also lead the science and mission operations for the James Webb Space Telescope (JWST), scheduled for launch in 2019. We will perform parts of the science operations for the Wide Field Infrared Survey Telescope (WFIRST), in formulation for launch in the mid-2020s, and we are partners on several other NASA missions. and we bring science to the world through internationally recognized news, education, and public outreach programs. We value our diverse workforce and civility in the workplace, and seek to be an example for others to follow. On 4 July 2003, beachgoers at Warren Dunes State Park, in the US state of Michigan, were enjoying America’s Independence Day holiday when a fast-moving line of thunderstorms blew in from Lake Michigan. They scurried for shelter, but the event passed so quickly it didn’t appear that their holiday was ruined. “In 15 minutes it was gone,” says civil engineer Alvaro Linares of the University of Wisconsin, Madison. But when swimmers re-entered the water, rip currents appeared seemingly from nowhere, pulling eight people out into the lake, where seven drowned. What these people had encountered, Linares says, was a meteotsunami — an aquatic hazard of which few people, including scientists, were aware of until recently. Few scientists have researched the phenomenon. May of those who have gathered recently at the annual American Geophysical Union Ocean Sciences meeting, held in Portland, Oregon, US, to compare notes. Conventional tsunamis are caused by underwater processes such as earthquakes and submarine landslides. Meteotsunamis, as the name indicates, are caused by weather. But while the catalysts are different, the effects are not. “The wave characteristics are very similar,” says Eric Anderson of the Great Lakes Environmental Research Laboratory of the National Oceanic and Atmospheric Administration (NOAA) in Ann Arbor, Michigan. 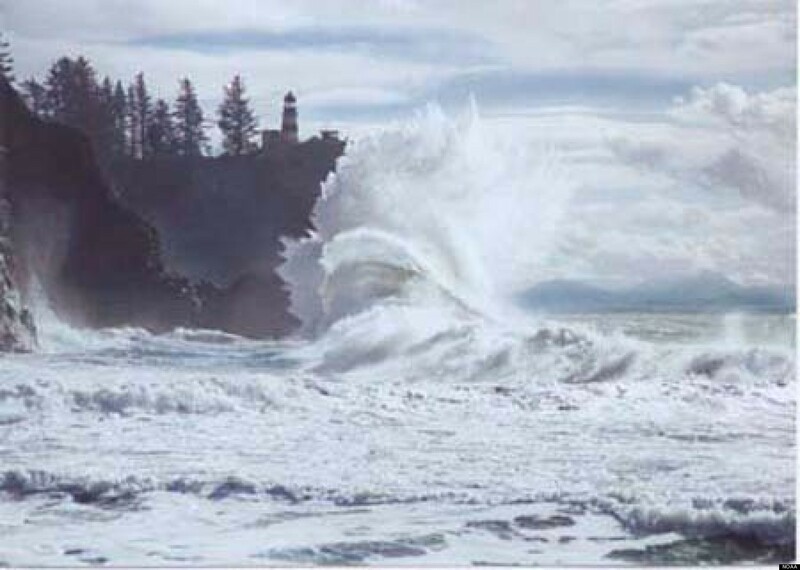 To create a meteotsunami, what’s required is a combination of a strong, fast-moving storm and relatively shallow water. The sudden increase in winds along the storm front, possibly combined with changes in air pressure, starts the process by kicking up a tsunami-style wave that runs ahead of it. But the process would quickly fizzle out if the water was too deep, because in deep water, such waves propagate very quickly and would soon outrun the storm. What’s needed to produce a meteotsunami is a water depth at which the storm’s speed and the wave’s speed match, allowing the wave to build as it and the storm move in tandem. “The storm puts all its energy into that wave,” Anderson says. Furthermore, the wave can magnify even more when it hits shallower water or shoals. “That is when these become destructive,” Anderson says. In 2004, for example, a storm front 300 kilometres wide sped across the East China Sea at a speed of 31 metres per second, 112 kilometres per hour, says Katsutoshi Fukuzawa of the University of Tokyo. Water there is shallow, he adds, with depths mostly under 100 metres. This limits wave speed to about 30 metres per second — a near-perfect match to the storm’s. As a result, parts of the island of Kyushu were hit with a tsunami as big as 1.6-metres. Not that meteotsunamis have to be that big to be dangerous. The one at Warren Dunes was probably no more than 30 centimeters, says Linares — small enough not even to be visible in the lake’s normal chop. But unlike normal surf, meteotsunamis produce a sustained slosh that lasts several minutes between run-up and retreat. That means that even low-height waves carry a lot of water, creating the potential for strong rip currents when they withdraw. According to Linares’ models [Journal of Geophysical Research], these currents would have persisted for about an hour — plenty long enough to drag unwary swimmers far out into the lake, long after the storm had passed. It’s also possible for meteotsunamis to become “detached” from the storm front that created them, striking shores far away. Researchers reviewing records in the Great Lakes have concluded that that is what happened when such a wave hit Chicago in 1954, killing 10 people. It’s not just Japan and America’s Great Lakes that have seen such events. In May 2017, a storm raced up the English Channel, kicking up a metre-high wave that swept beaches in The Netherlands as bystanders looked on with awe, says Ap van Dongeren of the Deltares research institute in Delft, The Netherlands. Quirks of topography can magnify the effects of such tsunamis. On 13 June 2013, a group of spearfishermen in New Jersey were stunned when a surge of water threw them across a breakwater into the open ocean [nj.com]. A few minutes later, another surge threw them back where they’d come from. And that came from a meteotsunami that measured at well less than a metre on local tide gauges, says Gregory Dusek, a NOAA oceanographer at Camp Springs, Maryland. Meteotsunamis have occurred on all inhabited continents, including one that hit the port of Fremantle, near the Australian city of Perth, in 2014, causing a ship to break free from its moorings and crash into a railroad bridge in 2014, Sarath Wijeratne of the University of Western Australia reported in a conference abstract. In fact, Wijeratne concluded, a look back at historical water level records indicates that Western Australia may have seen more than 15 such events each year between 2008 and 2016. Other researchers are also finding these events to be surprisingly frequent. By studying tide gauge records back to 1996, Dusek has concluded that they occur on America’s eastern seaboard at a rate of 23 per year — though most are small enough nobody would ever notice. In Holland, Van Dongeren says that a quick check of historical tide gauge records revealed at least three such events in the past decade that had gone unnoticed because they happened at low tide. “They’re not that rare,” he says. Fukuzawa says that Japan saw 37 meteotsunamis exceeding one metre from 1961 to 2005. Furthermore, bigger ones are possible. In June 2014, Croatia was hit by a two-to-three metre tsunami sweeping in from the Adriatic Sea, says Clea Denamiel, of the Croatian Institute of Oceanography and Fisheries. But the mother of all meteotsunamis came in 1978, when Vela Luka, at the southern end of Croatia’s scenic Dalmatian coast, was smashed by a meteotsunami measuring a full six metres, with giant waves surging and retreating about every 17 minutes, just as might have occurred in the aftermath of a large offshore earthquake. As of now, scientists don’t know enough about meteotsunamis to be able to predict them, though efforts are under way to create models that can do just that. But as they dig back through old records, they are increasingly realising that meteotsunamis might have been with us for a long time. Or as Linares puts it with typical scientific understatement, “meteotsunamis are a beach hazard that has been overlooked”. A stellar reaction long predicted but never seen has been demonstrated in the lab. After four decades of research, a theory is finally confirmed. CONEYL JAY/SCIENCE PHOTO LIBRARY/Getty Images. An abundant new energy supply could be derived from controlling a quantum reaction that takes place in stars, according to research from the Australian National University (ANU). The possibility arises because the ANU scientists plus others from institutions including the US Army Research laboratory and Poland’s National Centre for Nuclear Research have succeeded in confirming the existence of a reaction first predicted four decades ago but unmeasured until now. In a paper published in the journal Nature, ANU physicist Greg Lane and colleagues report the confirmation of a phenomenon known as Nuclear Excitation by Electron Capture (NEEC). Confirming that NEEC actually happens supplies a key mechanism for understanding how evolving stars produce elements such as gold and platinum. NEEC can occur when an atom captures an electron. If the electron’s kinetic energy and the energy required to capture it add up to just the right amount, the atom’s nucleus is pushed to a higher state of excitation. The energy increase, however, comes at the cost of a shorter life. What was a long-lived stable nucleus must now decay, either through an electromagnetic process known as internal conversion which spits out an electron, or by emitting a photon. Although discussed since the 1970s, experimental proof for NEEC has remained elusive. The new work, however, has now provided the necessary evidence. 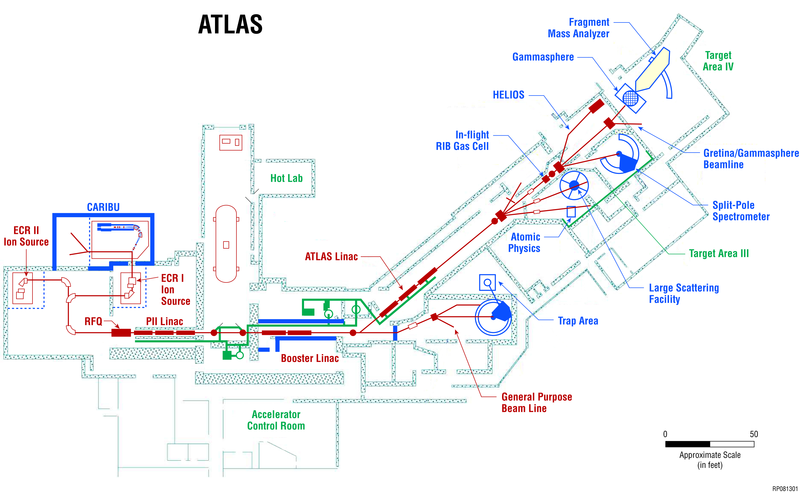 The researchers did so by creating an exotic isotope – molybdenum-93 – by firing a beam of zirconium atoms at lithium targets, using the ANU’s Heavy Ion Accelerator and the ATLAS Accelerator at Argonne National Laboratory in the United States. The resulting molybdenum atoms zipped around at as much as 10% of the speed of light, smashing into the remaining lithium, stripping off electrons and leaving highly charged ions behind. As the interactions continued, the molybdenum ions lost kinetic energy until they reached a state where they could capture an electron with just the right energy to push the molybdenum nuclei from their long-duration “isomer” states into higher level but shorter-lived intermediate ones. These intermediate states decayed, giving off a unique gamma-ray signature that proved NEEC had occurred. The research now provides a model against which other theoretical calculations for the NEEC effect in different elements can be tested, illuminating further the process by which nuclear interactions in stars produce certain metals. “The abundance of the different elements in a star depends primarily on the structure and behaviour of atomic nuclei,” says Lane. As well cosmological implications, the confirmation of the NEEC effect opens the door to potentially accessing energy stored in longer-lived isomer nuclei. Lane suggests the technique could create energy sources 100,000 times more powerful than chemical batteries. It is a possible outcome that has not gone unnoticed by at least one of the ANU’s research partners. “Our study demonstrated a new way to release the energy stored in a long-lived nuclear state, which the US Army Research Laboratory is interested to explore further,” says Lane. Three new reports examine Australia’s existing space capabilities, set them in the light of international developments, and identify growth areas and models for Australia to pursue. 136319147@N08/flickr. Telescope is not identified. Bad journalism.